Karmichael Hunt's exclusion from the extended Wallabies squad for the Rugby Championship named on Thursday has nothing to do with the drugs scandal in which he is embroiled, Michael Cheika says. Hunt's feint Rugby World Cup dreams all but died when he was omitted from the 40-man group named for the opening two matches of the Rugby Championship, the announcement made on the day his former AFL club, Gold Coast Suns, was plunged into full-blown crisis mode. Hunt, 28, finds himself at the eye of a national storm after the publication of photos displaying his former housemate and protege Harley Bennell with a $20 banknote rolled in his hand and what are alleged to be lines of illicit substances. Hunt was credited with turning Bennell's life around when he took the homesick youngster under his wing four years ago, but the discussion has shifted to the negative impact the code-hopper might have had on the fledgling Suns. The Australian Rugby Union (ARU) and Queensland Rugby Union (QRU) stood by Hunt when details of his history with drugs emerged earlier in the year, and Cheika insisted his non-inclusion in the Wallabies' squad was entirely football-related. "Nothing to do with that," Cheika said of the drugs scandal. 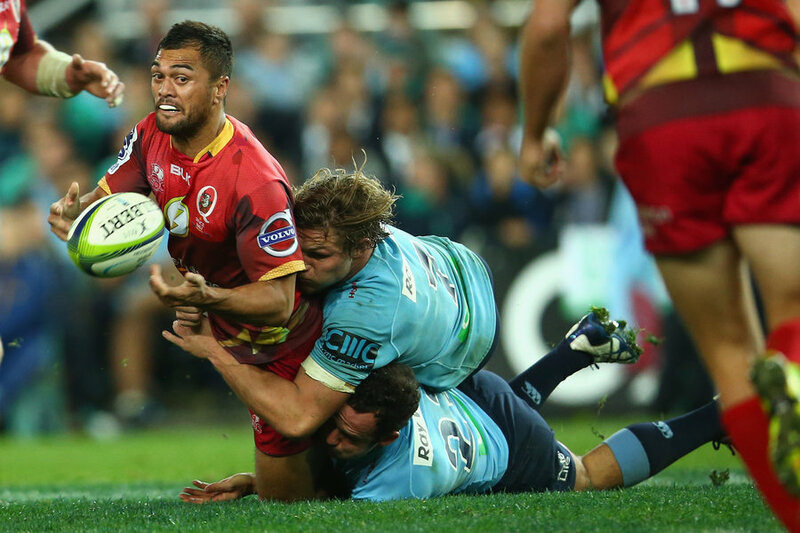 "I thought Karmichael Hunt had a good two weeks with us in camp. His inclusion, as I said at the time, was always about me getting to have a bit of a look at him a bit closer up, see his mentality, how he works with the other players. "We'll keep giving him a little taste and maybe we'll get him into an environment where he can mix with some of the players from some of the other teams later on. For now, I'm really happy with where he's placed. But there's other players ahead of him in the pecking order around his position." Hunt had a middling debut Super Rugby season with Queensland Reds, although his transition into his third code of football was restricted by injury and the six-week suspension he accepted after confessing to cocaine use. Hunt was also stripped of the Queensland vice-captaincy and was fined $30,000 by the QRU and ARU, having pleaded guilty in court to four counts of cocaine possession. Hunt established outside centre as his best position, having also played at fullback and as a fill-in five-eighth, but he failed to produced performances consistently good enough to unseat any of the outside backs who were picked in the Wallabies' squad ahead of him.